In case you haven’t heard, regular old milk from a cow is out. For some time now, almond milk has been the go-to for non-lactose milk alternatives and has even come to rival the classic dairy version. However, the newest milk on the scene is giving both a run for their money as it impresses consumers with its versatility, nutrition, and taste. This new leader in milk is none other than oat milk. The proof of its popularity is in the numbers. Market leader Oatly has upped its production by 1,250% to meet the demand for the product. The Swedish oat milk maker is even building a new factory as it attempts to keep up with the success it has seen since it started selling in the United States. According to Oatly’s communications and public affairs lead, a lot of people first tried Oatly in coffee shops, building up a demand well before the company launched the milk in grocery stores in 2018. But what about oat milk makes it so popular? Let’s take a look at what exactly this dairy alternative has to offer. The concept behind oat milk is fairly simple. You make it by soaking and blending steel-cut or rolled oats with water. Then, you strain the mixture through cheesecloth to separate the milk from the oats. Although this process doesn’t allow oat milk to keep all of the nutrients that whole oats have, it is often enriched with nutrients during production. These added nutrients include vitamins A, D, B2, and B12, as well as minerals such as calcium. Oat milk does typically have more calories, carbs, and fiber when compared to other types of milk. One cup of Oatly contains 120 calories, 14 grams of carbs, and five grams of fat. It also generally provides less protein than dairy or soy options. It may seem like oat milk is just another trend to show off how nutrition-savvy you are. However, anyone who consumes it can reap the health benefits. Whether you’re among American consumers who drink an average of 1.64 cups of coffee per day and add it to your caffeine pick-me-up or you simply pour it over your morning bowl of cereal, you are doing your body a favor. Studies have found that drinking oat milk may be able to lower blood cholesterol levels. In one such study, men who drank about three cups of oat milk every day over five weeks reduced their total blood cholesterol by 3% and “bad” LDL cholesterol, which has been linked to heart disease, by 5%. Due to its simple recipe, oat milk is a great option for people with dietary restrictions. Made from only oats and water, oat milk is vegan and it doesn’t contain common allergens such as nuts, lactose, and soy. Oats are also naturally gluten-free and as long as they are not processed in factories with gluten-containing grains, anyone on a gluten-free diet can consume it. Just be sure to check your milk’s label to see that it is made with certified gluten-free oats. As it is fortified with calcium and vitamin D, oat milk is great for promoting bone health. When you lack these two nutrients, your bones may become hollow and are more likely to fracture or break. A deficiency can also contribute to tooth decay, a condition that is 20 times more common than diabetes and five times more common than childhood asthma. 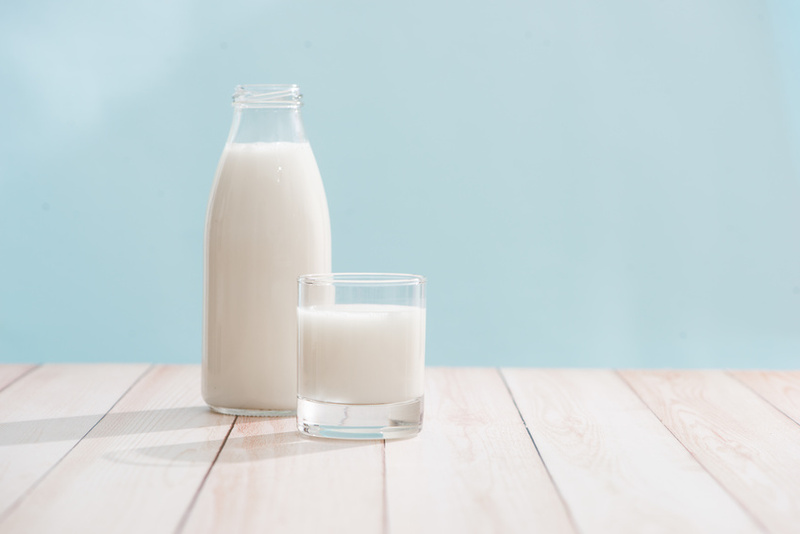 Commercial oat milk typically contains vitamin B12 as well, which has been associated with healthy bones and a lower risk of osteoporosis. It’s alright if you aren’t convinced that you should swap all of your cow milk products for oat milk substitutes. After all, approximately 9% of all the milk U.S. dairy farmers produce is used to make ice cream. And how would oat milk ice cream even taste? Actually, it would probably be pretty good, as oat milk typically has a sweet flavor and works well with additives like vanilla and cinnamon. Whether you’re convinced or not, give oat milk a try the next time you’re at the grocery store. It might just become your new favorite thing.